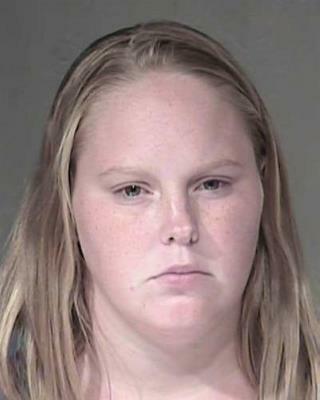 (Newser) – A 29-year-old woman in Arizona has been sentenced to die for her role in the horrific death of her 10-year-old cousin. Prosecutors said Sammantha Allen and husband John Allen stuffed Ame Deal into a plastic storage bin and left her there overnight in triple-digit temperatures in July 2011 as punishment for taking a Popsicle without permission, the New York Daily News reports. The couple fell asleep after padlocking the box shut, prosecutors said. The girl, who had already been forced to run and do other exercises in the heat for hours, was dead when they unlocked the box the next day. The husband has also been charged with child abuse and murder and will go on trial this fall. Not relevant, but this took place 6 years ago. Wheels of justice sure turn slowly. What depravity! I can't imagine how anyone can be so hateful and cruel.Poor little girl. Now here is someone who truly deserves the death penalty. They should lock her in a box and throw in a river tomorrow.